Recently two HUD Senior Living facilities in the Houston area were experiencing the effects of major corrosion in their piping systems. Extremely low water pressure, rusty water and pinhole leaks were disturbing the needs and daily routines of the occupants of both buildings. Conventional repair methods would be extremely disruptive to both residents and staff, and may have caused them to be without water for extended periods of time, which could have required displacement of the residents. TDT Plumbing, an ePIPE affiliate in Houston, was called on to provide the patented ePIPE solution as a less invasive and cost effective alternative to a repipe. 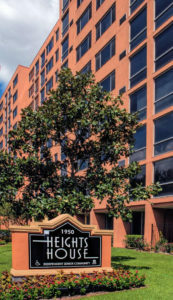 Woodland Christian Towers provides affordable housing to seniors and disabled adults, and consists of 126 accessible apartments. The property contains asbestos, so traditional methods here would require abatement, adding cost to the overall project. TDT was able to provide a viable solution that was City of Houston, ADA and NFPA code, and standard compliant.